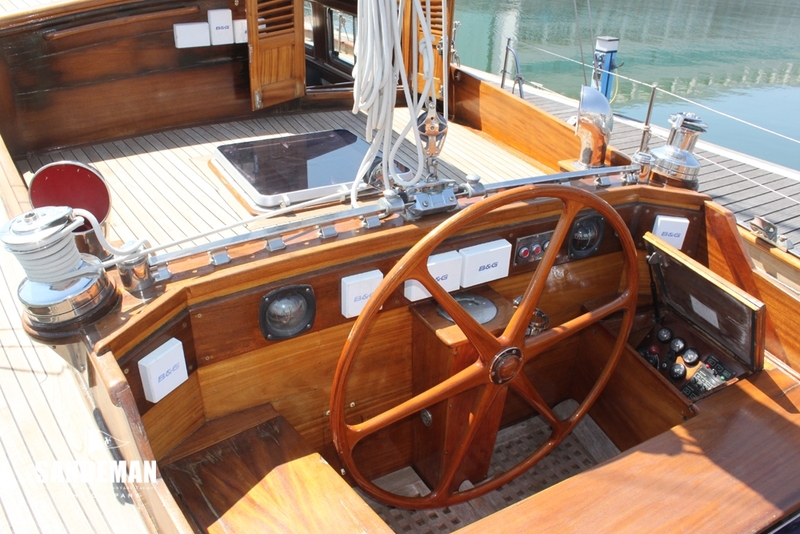 The distinctive and stylish hand of Jack Laurent Giles’s design is easily recognised in ALBACORE. 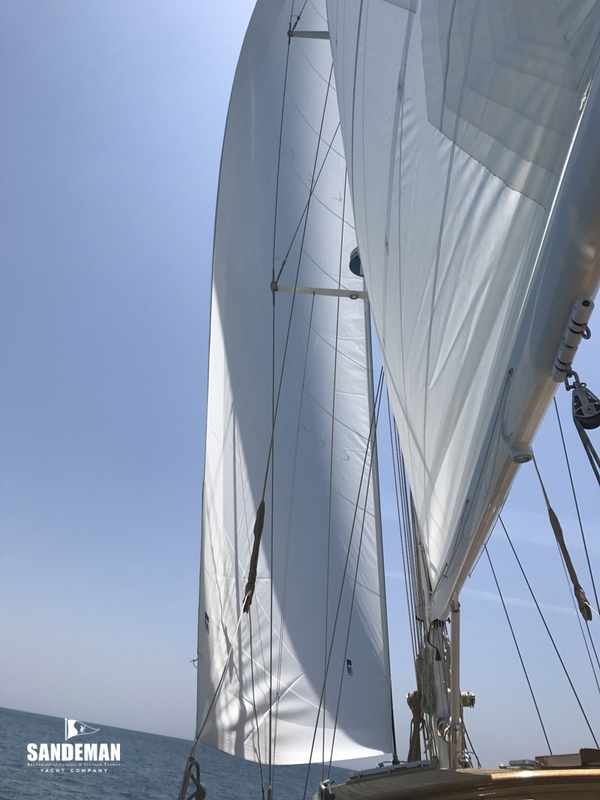 With only 2 owners since her launch her versatility has been demonstrated as an amazingly effective race boat in her early years; winning all the important races in Portugal. 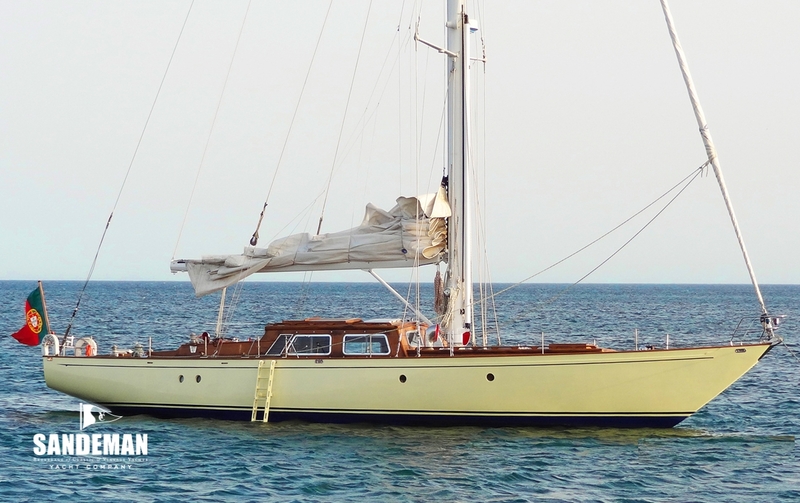 In her second career she has been equally successful as a family cruising yacht sailing longer distances, notably to the Caribbean and South America. 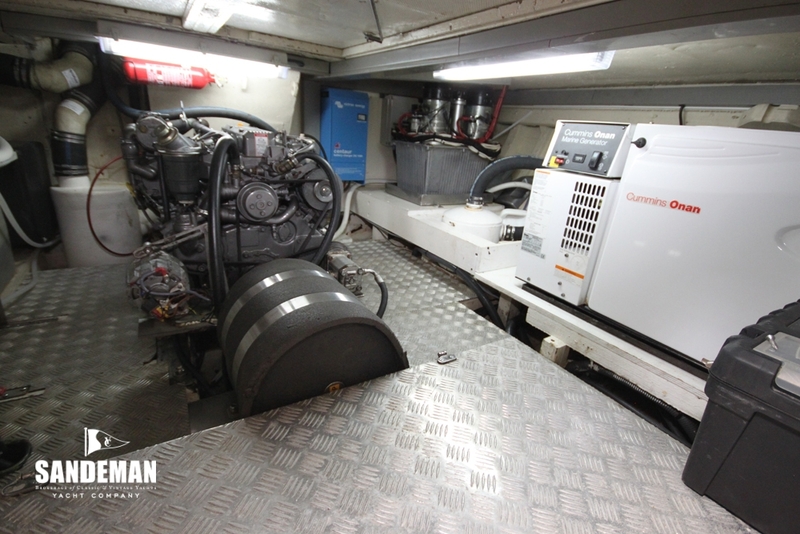 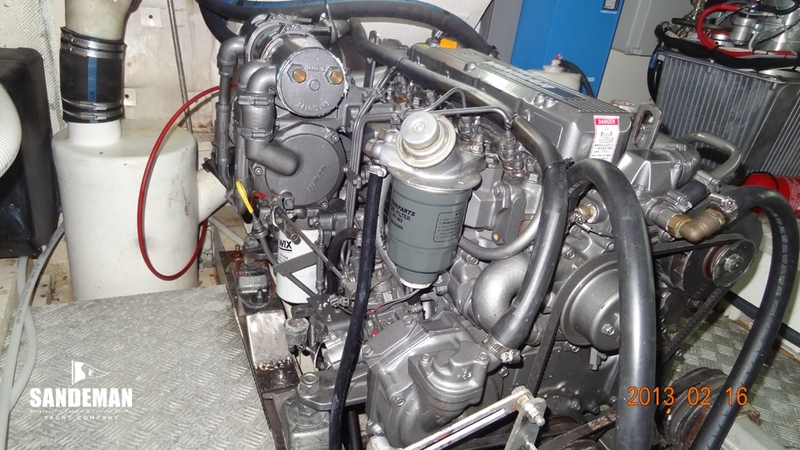 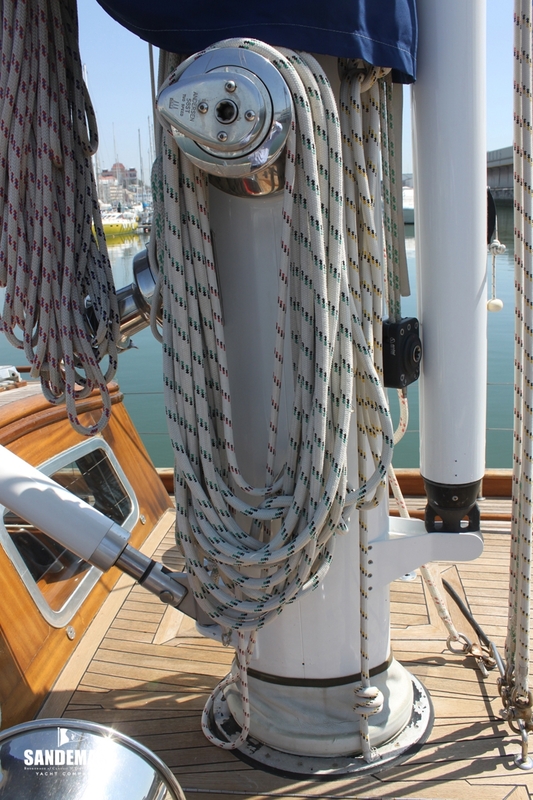 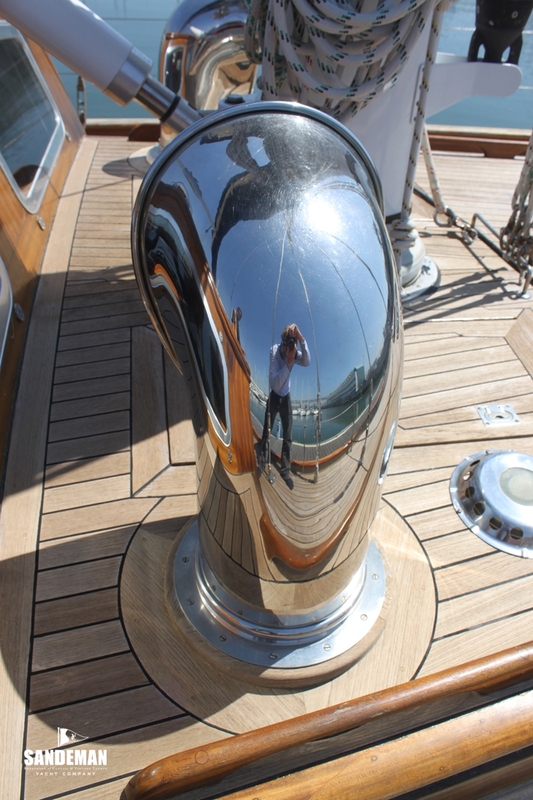 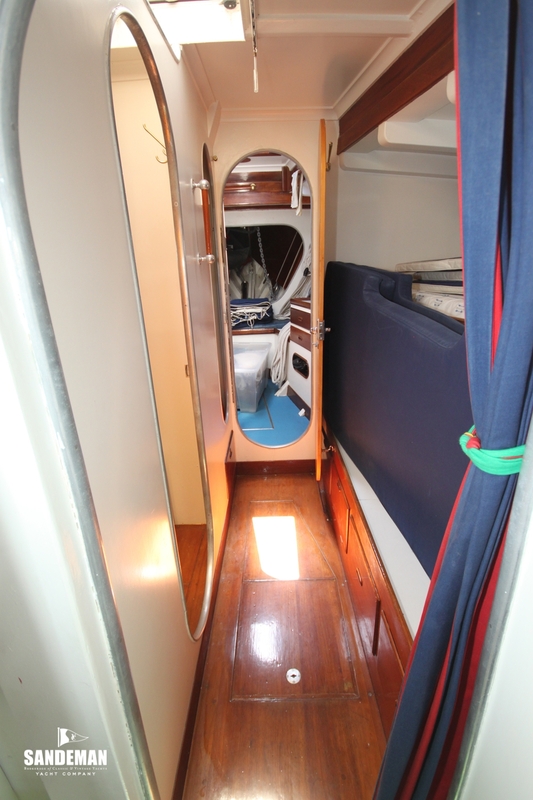 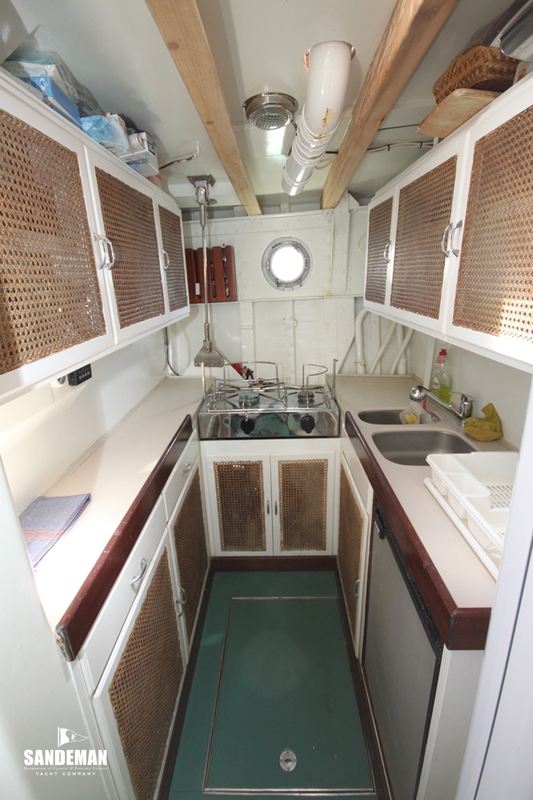 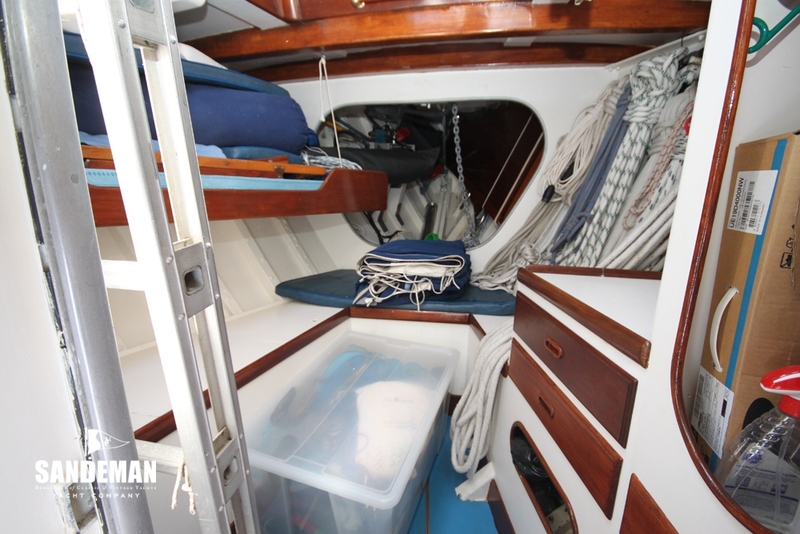 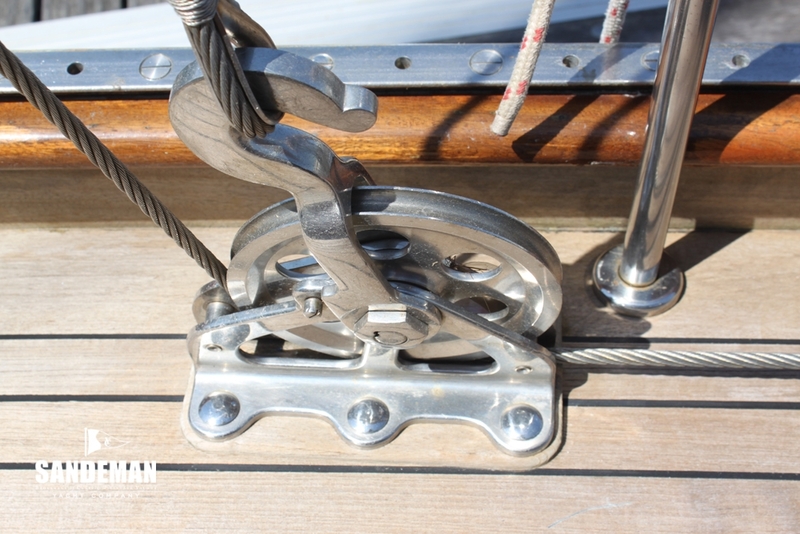 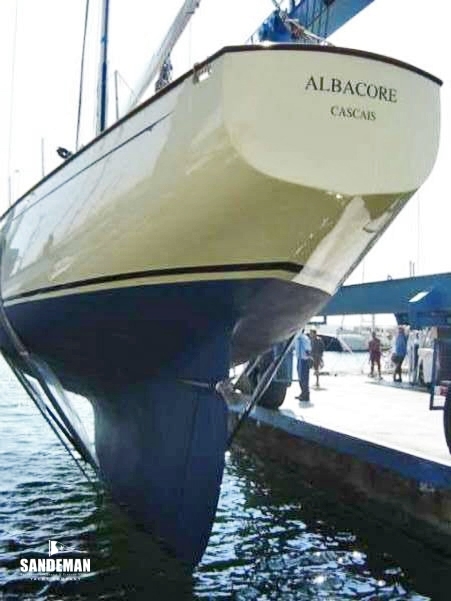 Long ownerships normally bring rewards and ALBACORE’s owner has indulged her in several major refits, changing her deck, rig and electronics, fully in character to ensure she remains such a useful family yacht. 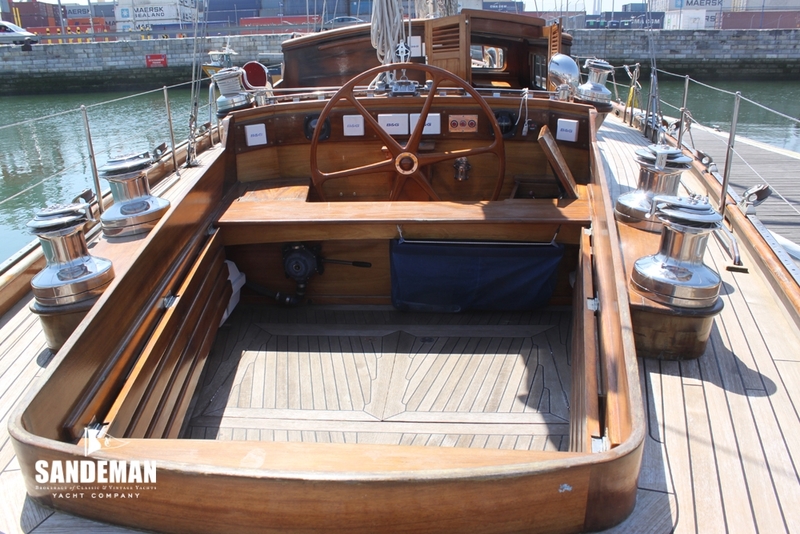 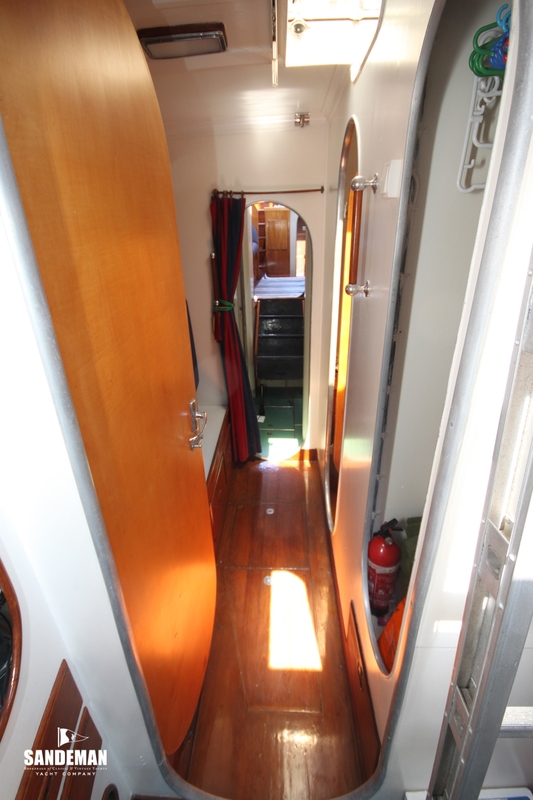 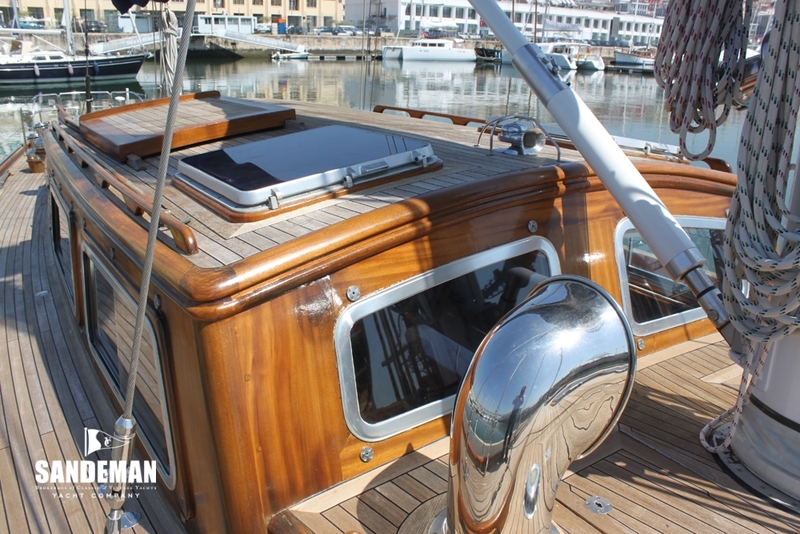 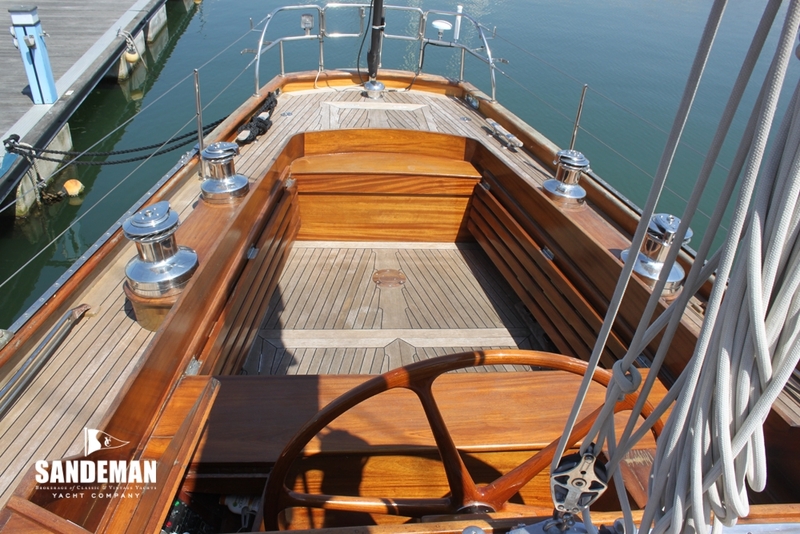 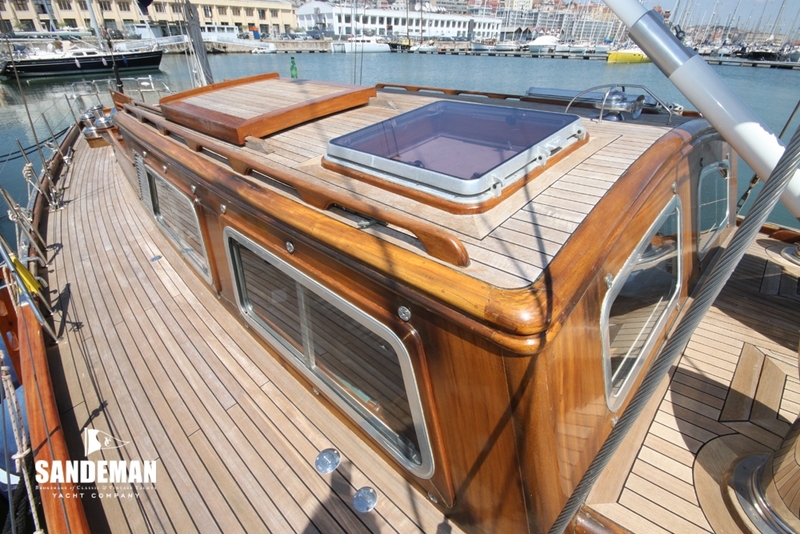 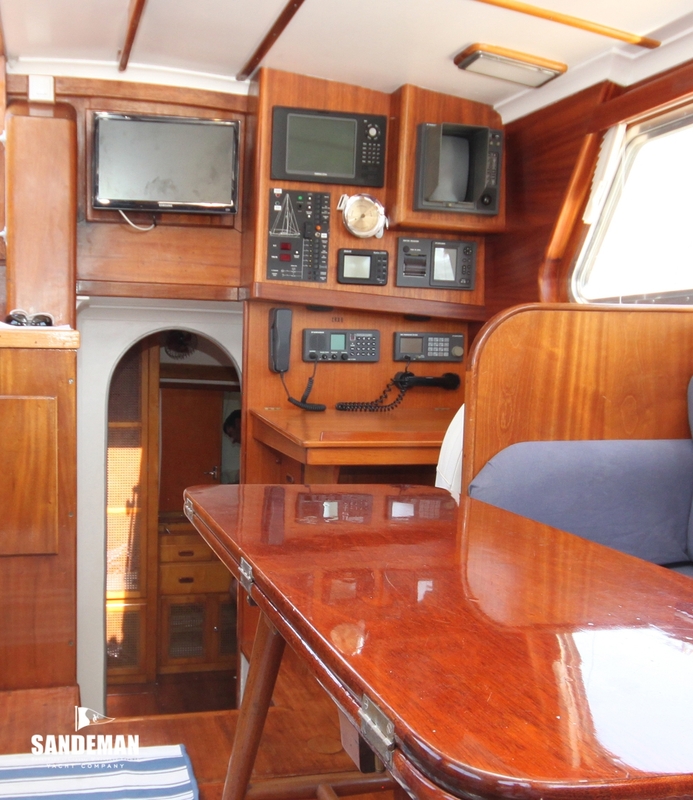 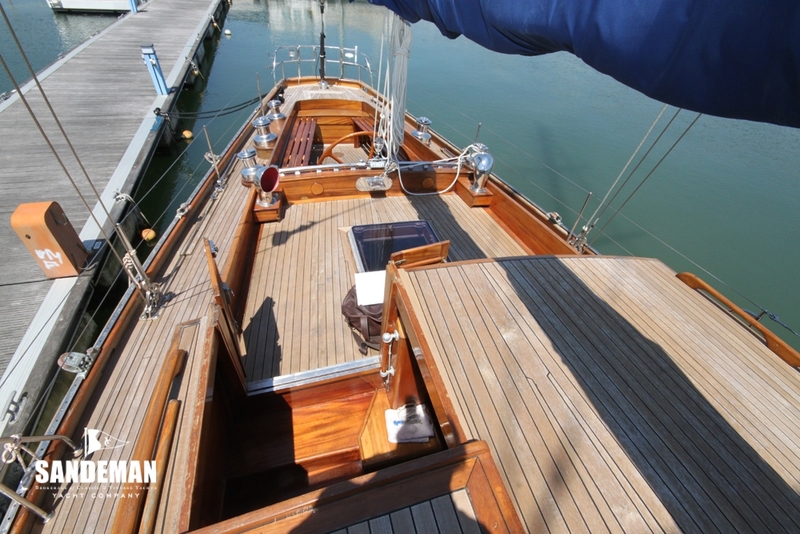 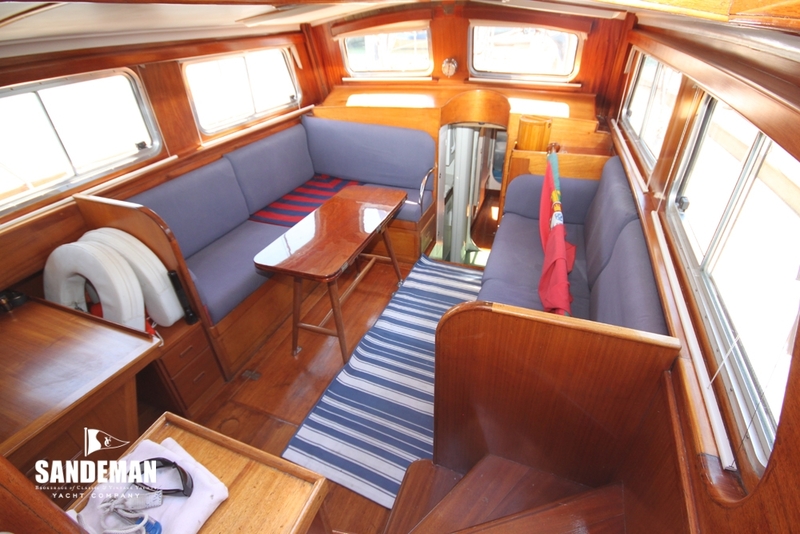 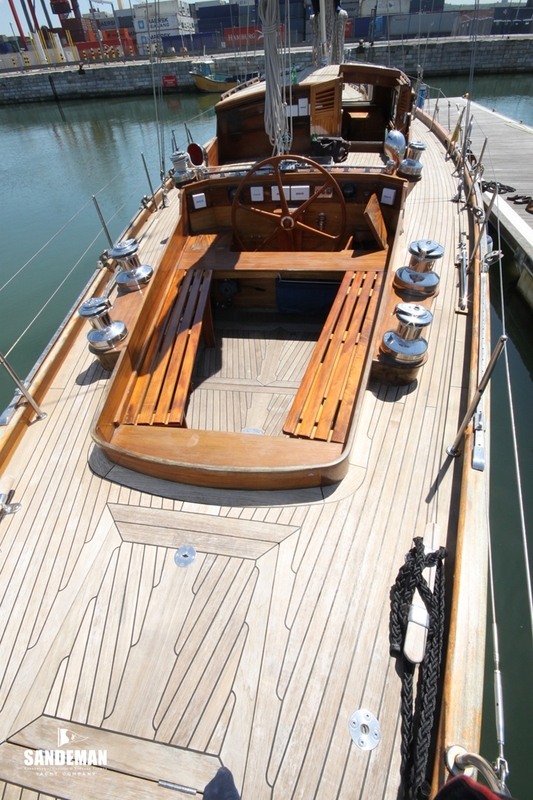 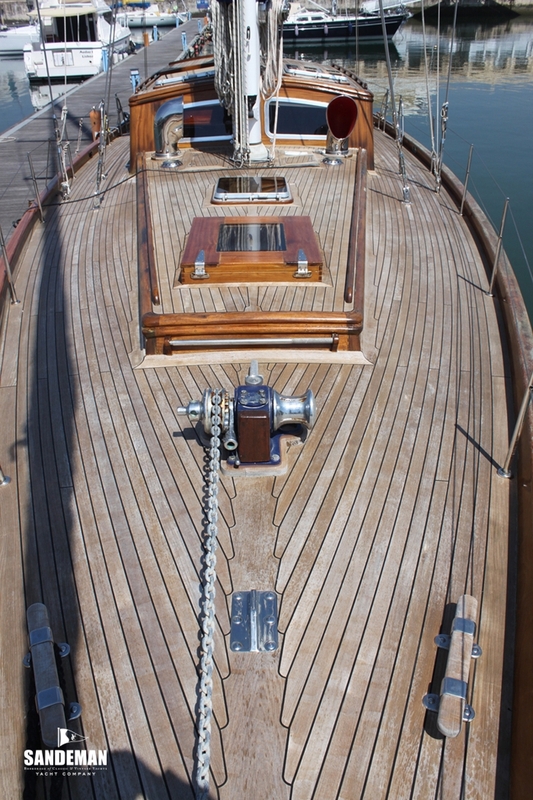 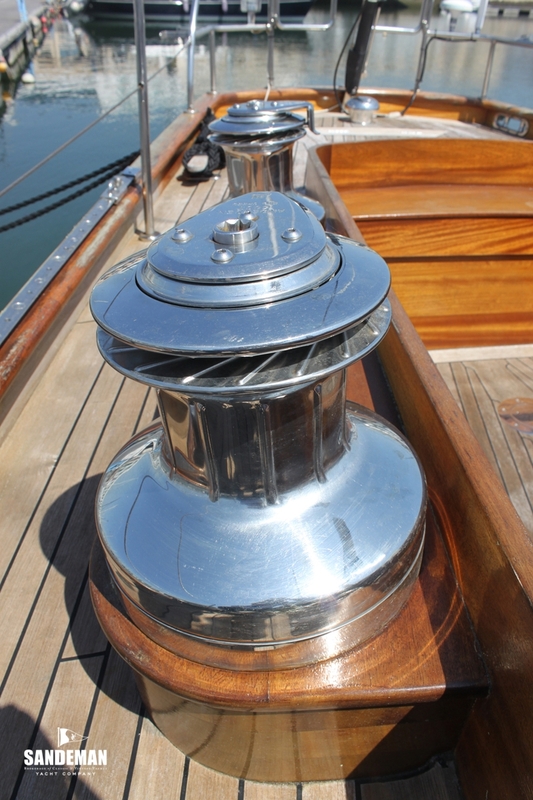 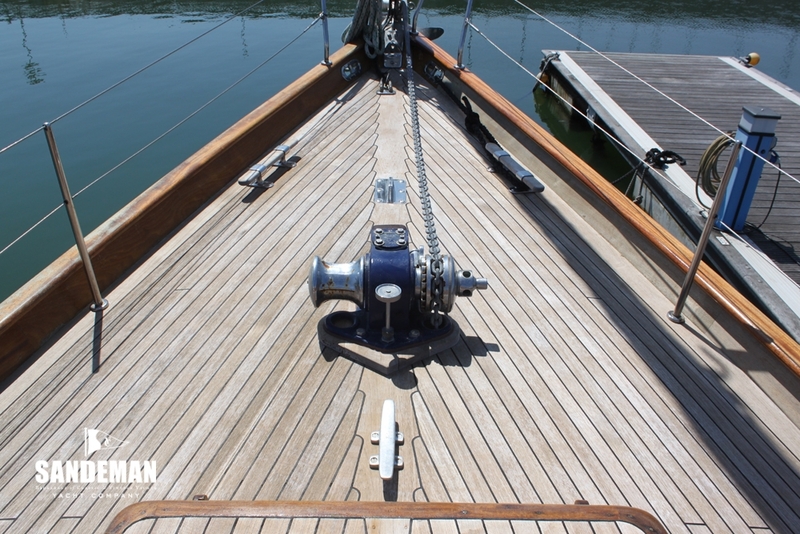 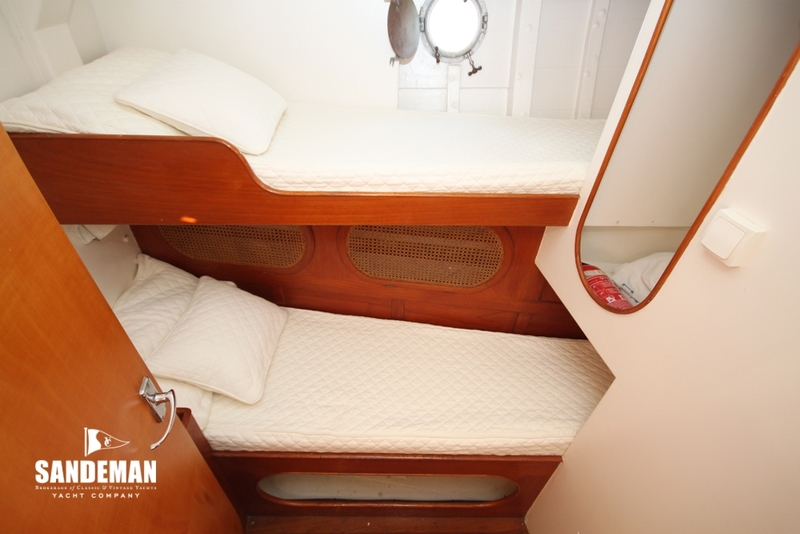 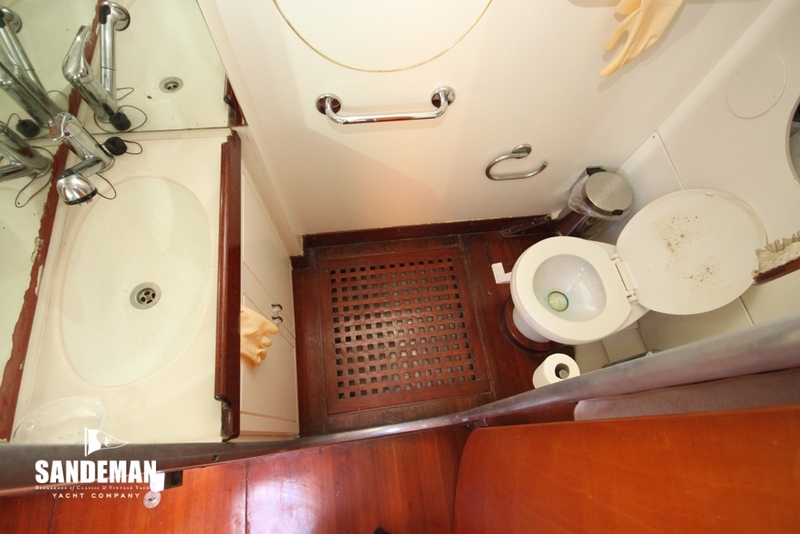 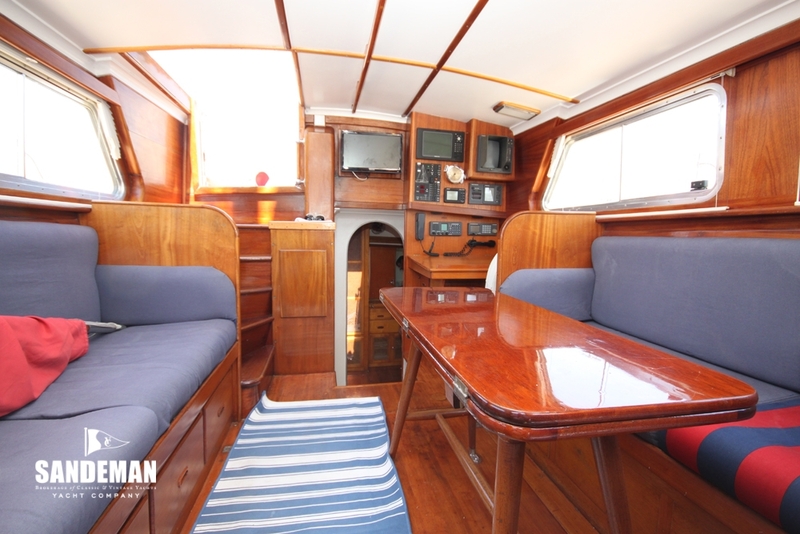 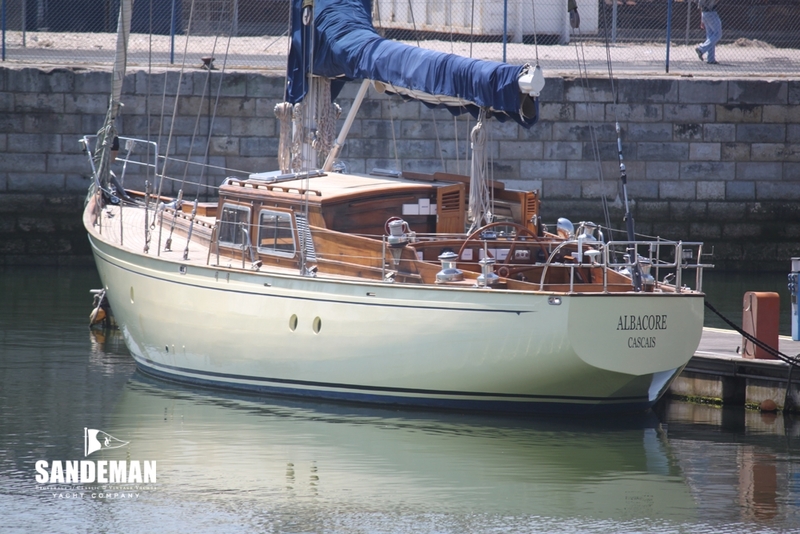 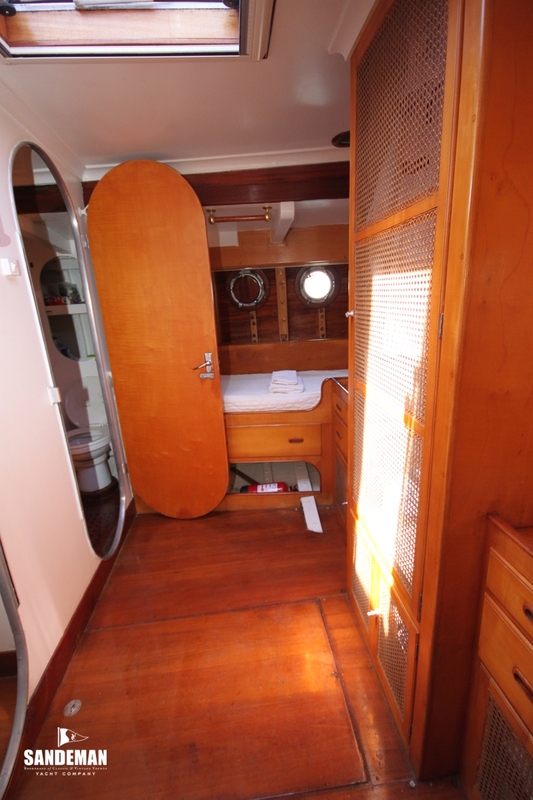 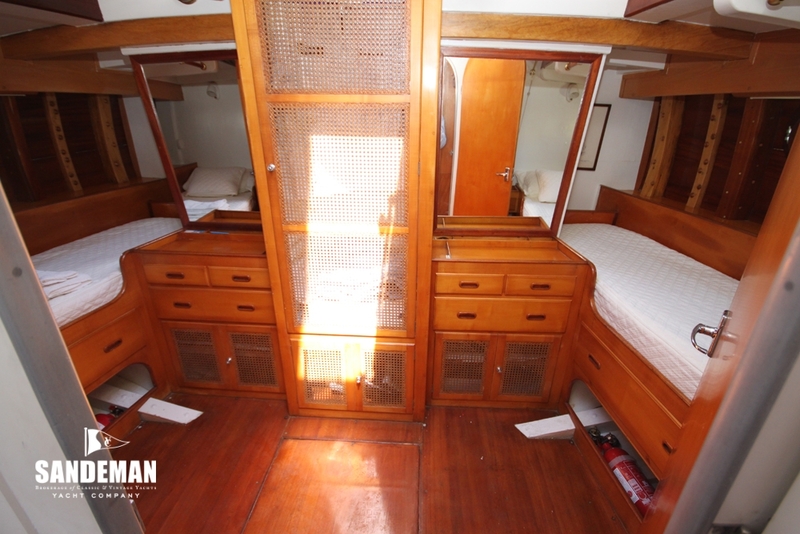 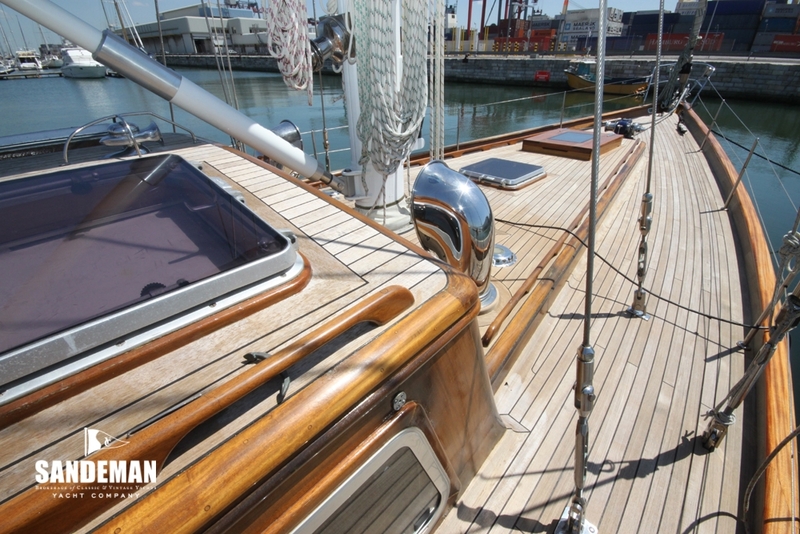 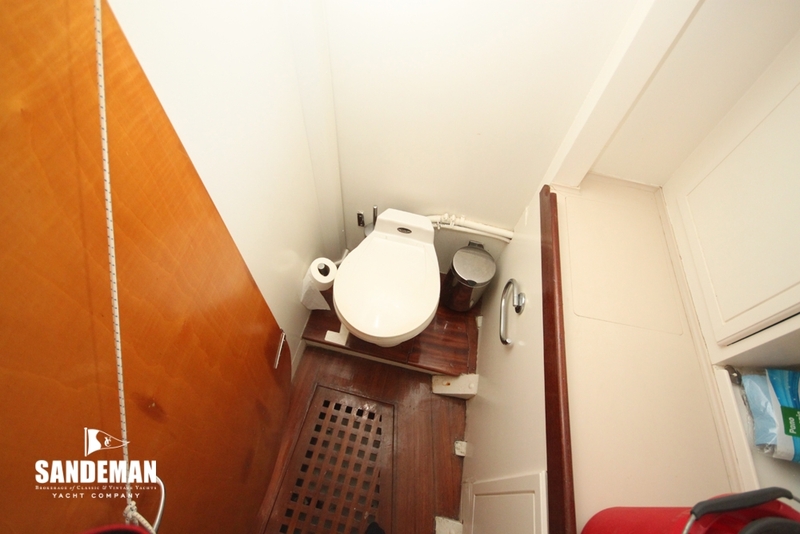 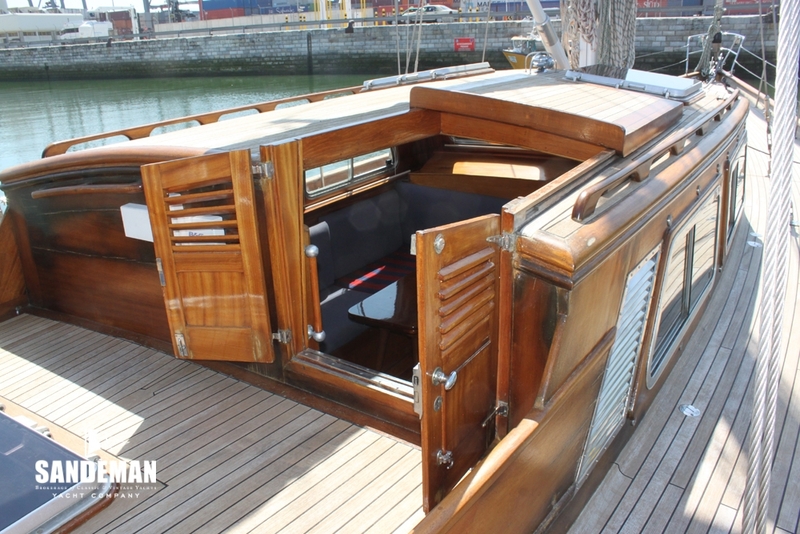 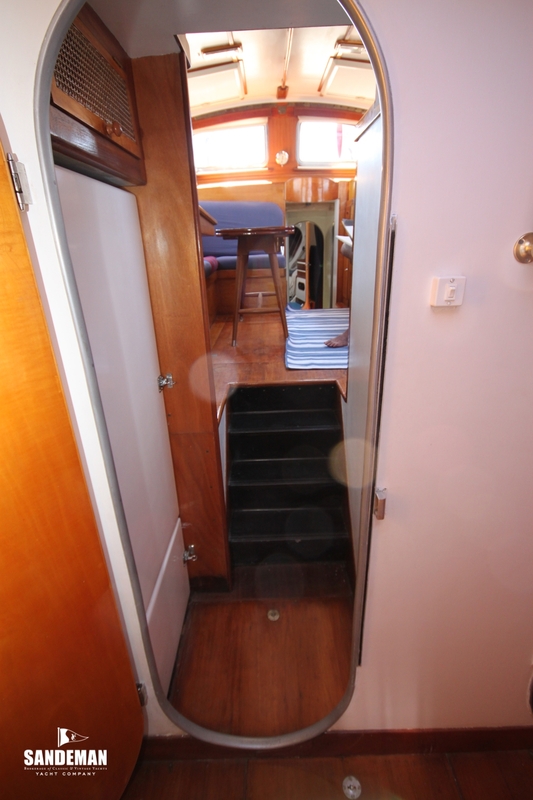 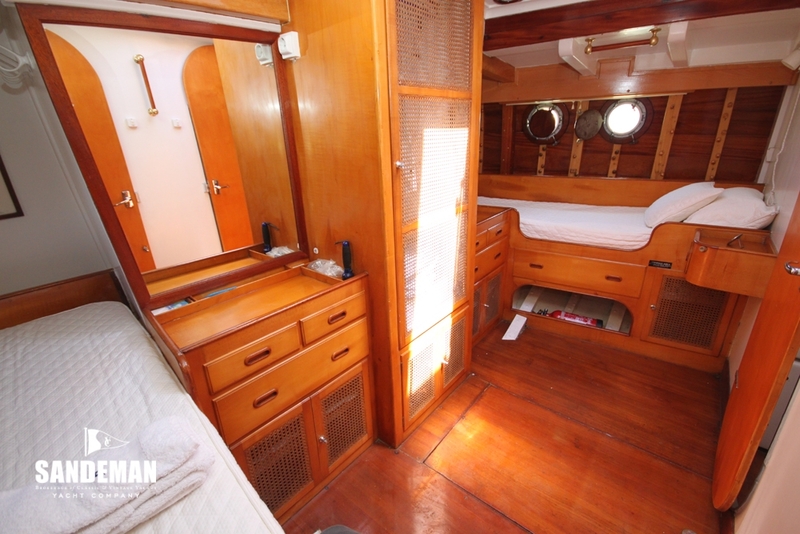 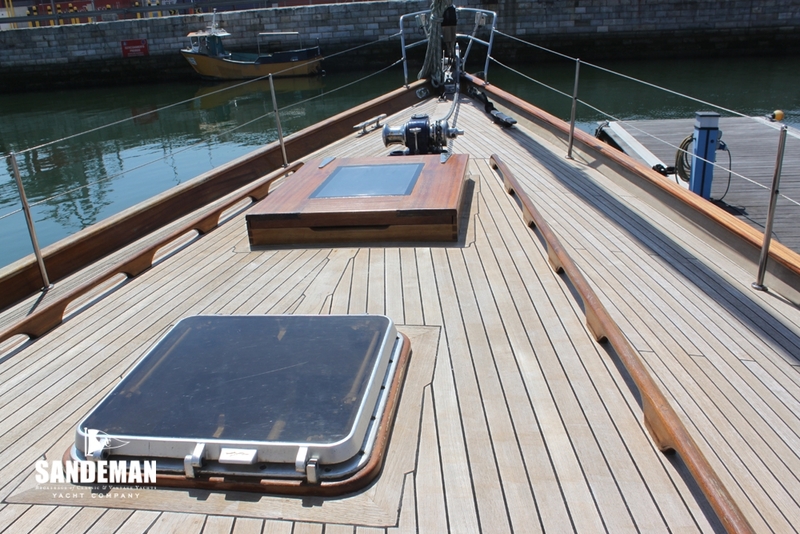 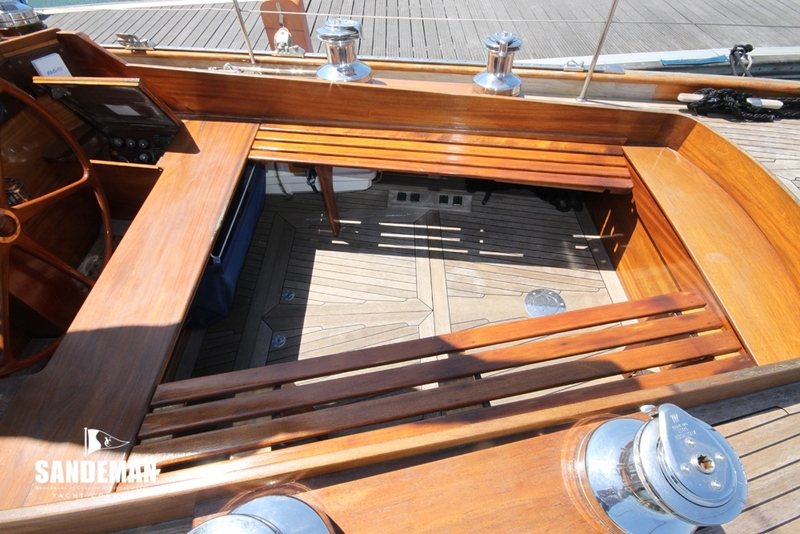 Designed by J Laurent Giles and built in 1966 by Port Hamble to the order of Mr. Moniz Galvão, ALBACORE arrived in Portugal that year, where she was fitted out with the interiors in fine joinery. 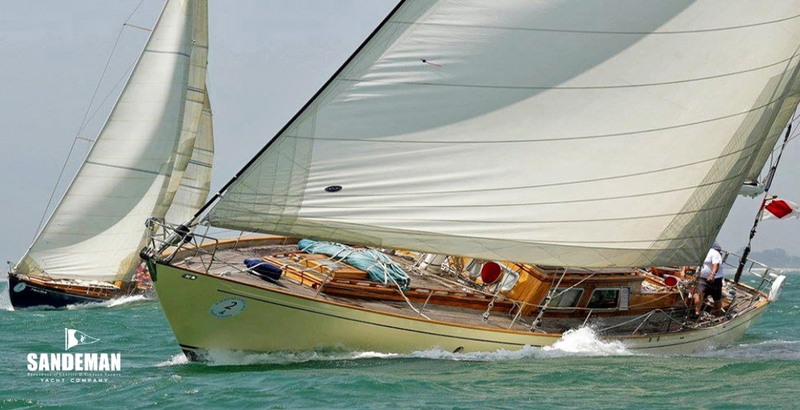 During the period between 1967 and 1973, she considered the best racing boat in the country, winning al of the most important local races. 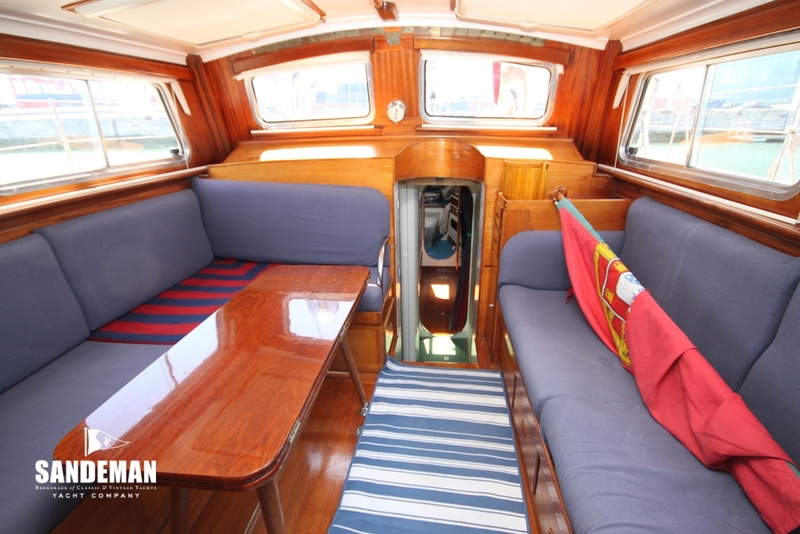 Following the Portuguese revolution in 1974, she was taken to England and bought by Mr. António de Figueiredo, the present owner, who then took her to Brazil from 1976 to 1977. 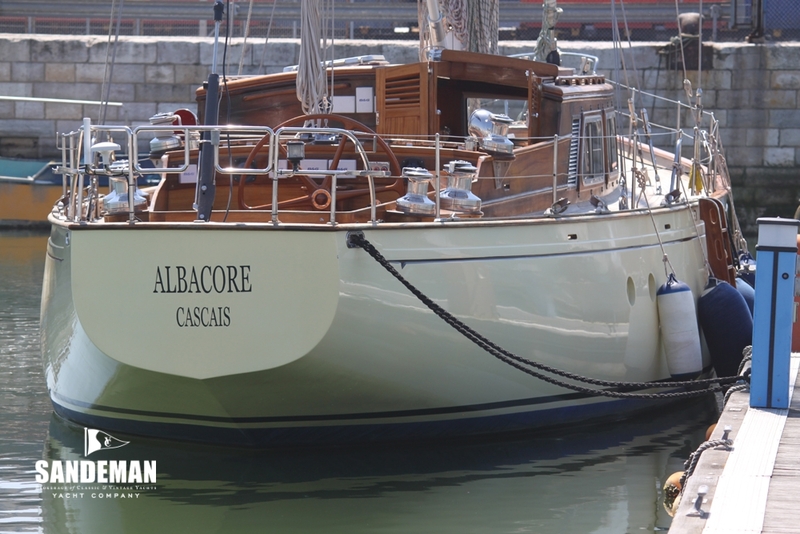 In 1977 ALBACORE participated in the Buenos Aires-Rio de Janeiro race, after which she sailed to Antigua staying until 1980. 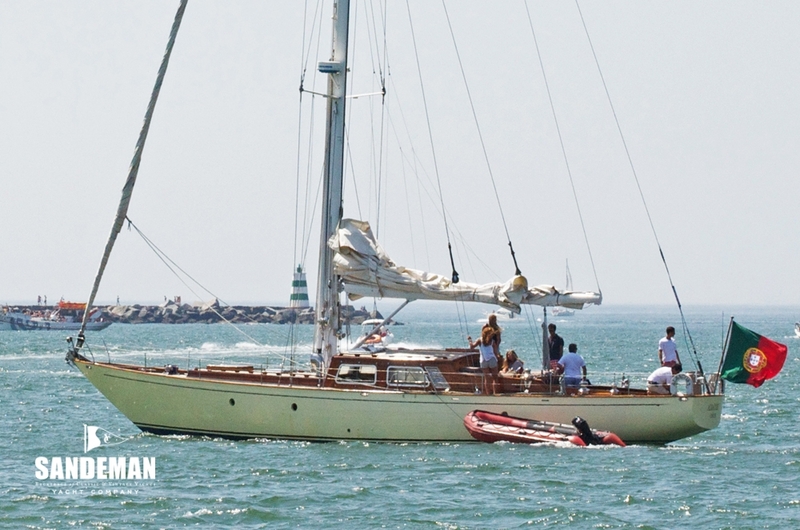 She returned to England in 1980, where some alterations in the sail plan were made. 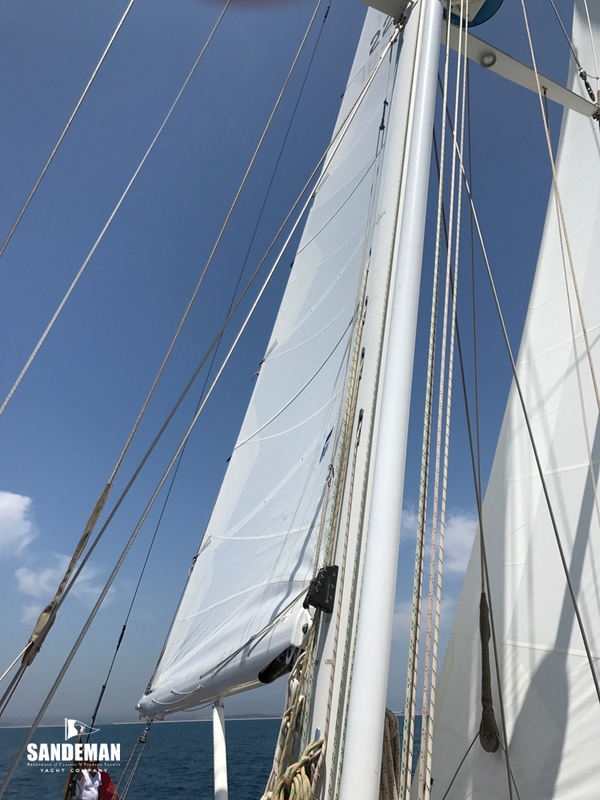 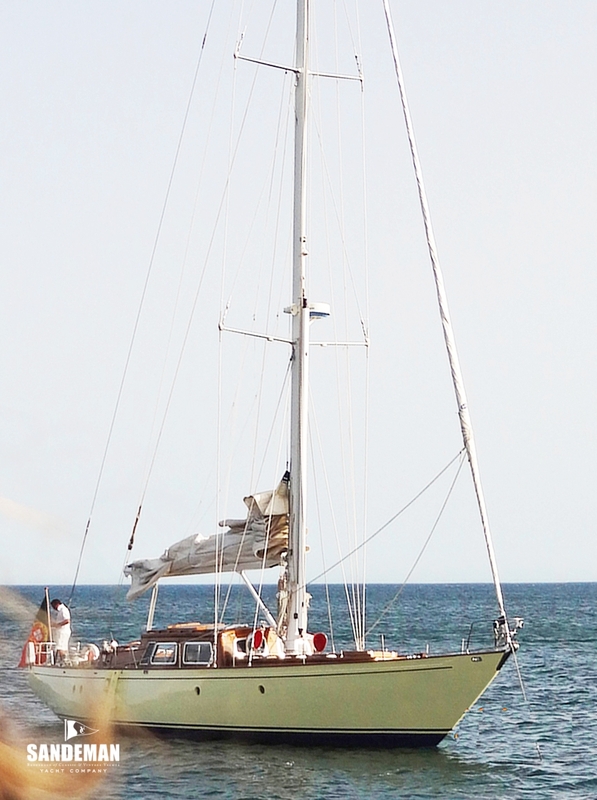 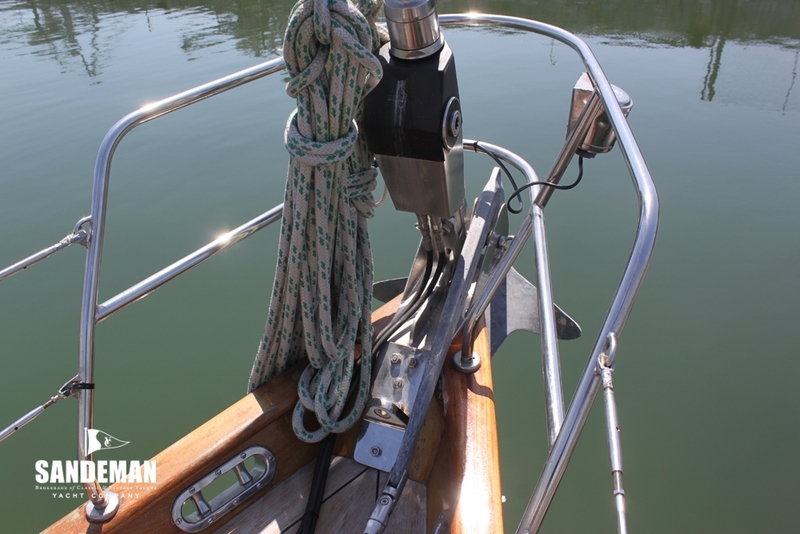 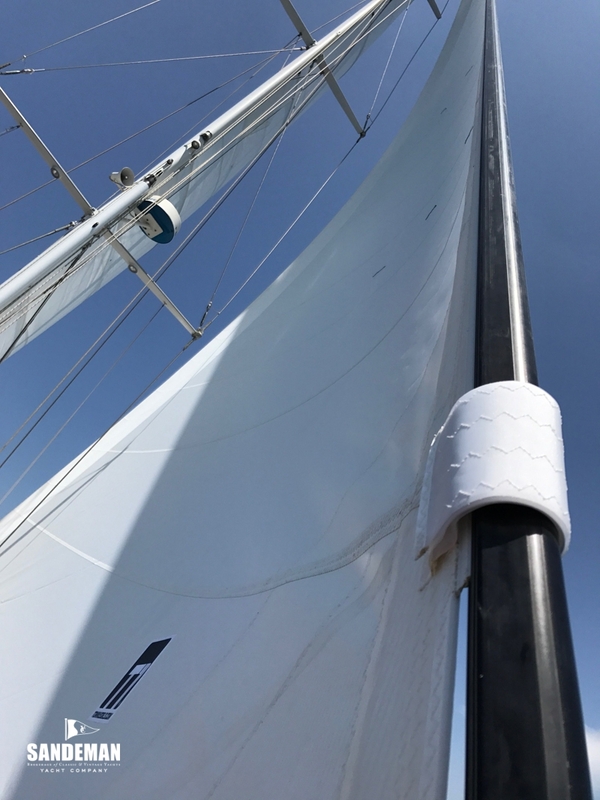 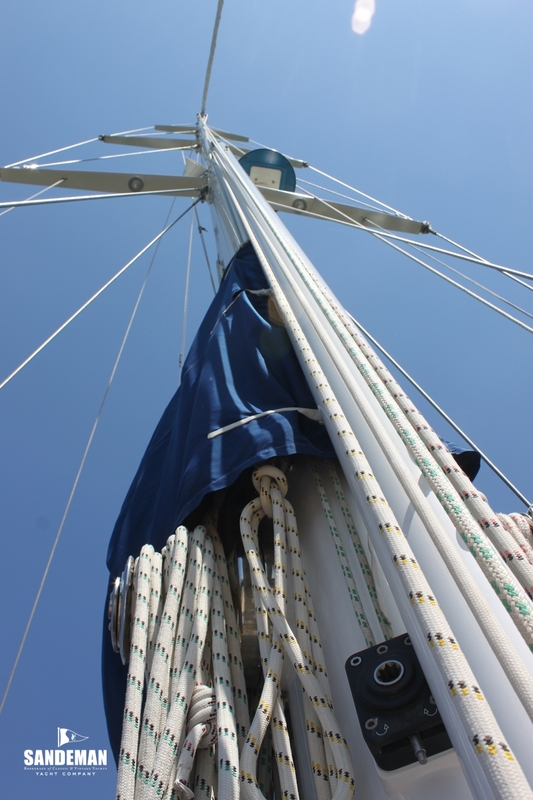 A new mast, shorter boom and a furling system for the genoa and staysail were installed, according to a Laurent Giles designed set of modifications. 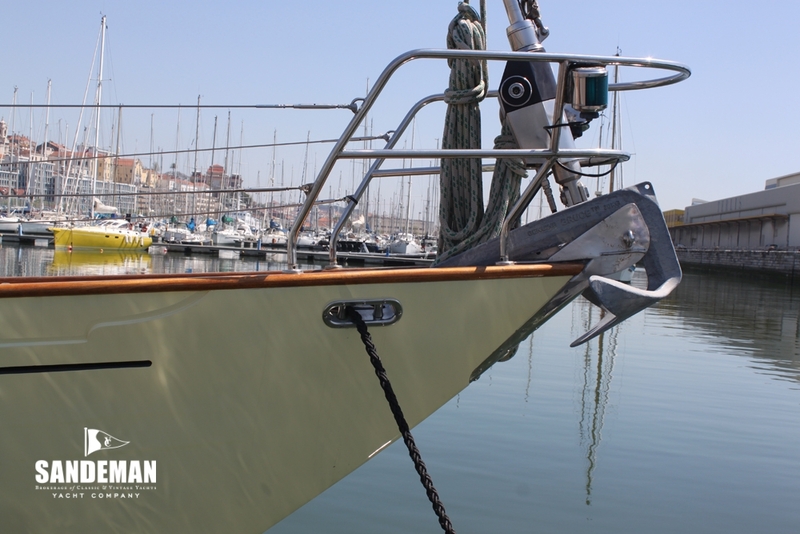 On completion of these and other small works, she returned to Portugal, for her owner’s enjoyment, in local races and cruising the Iberian Peninsular coasts. 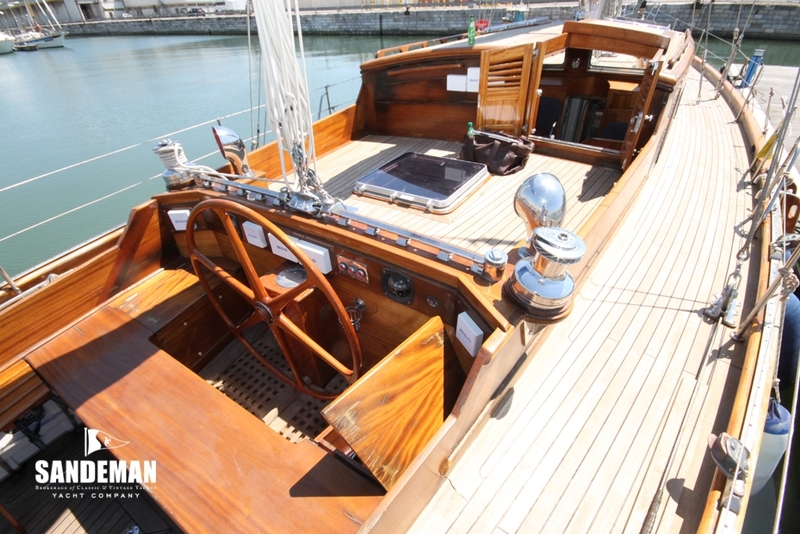 In 1986 she participated in the Nantes-Lisbon race, and was placed in fifth. 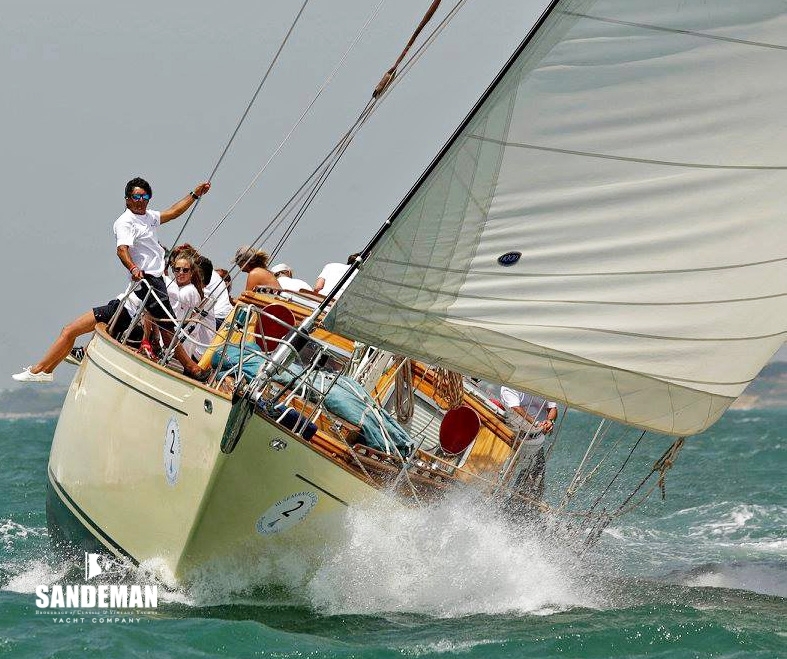 In 1990 she went to France – Bretagne, to participate in a championship, representing Lusitânia (Portuguese insurance company). 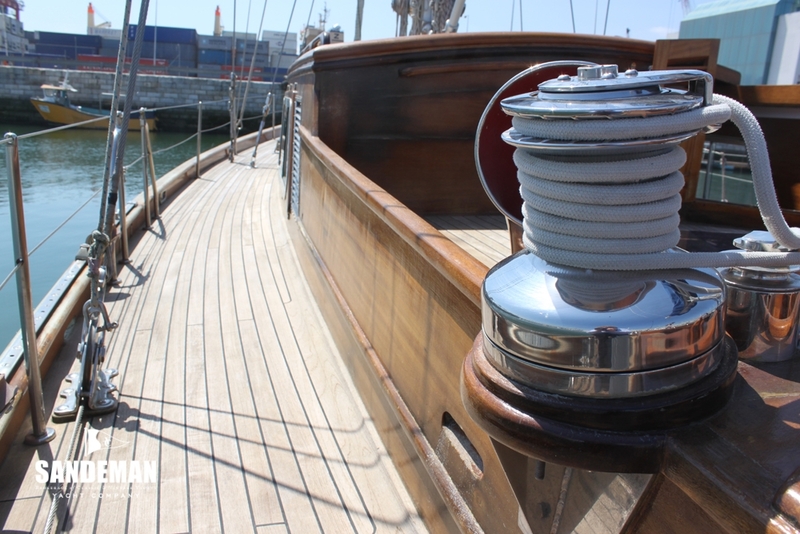 On the return she participated again in the Nantes-Setubal race and, surprisingly, she achieved third place in the general class.